Like any other chronic condition, eczema is tough to treat. We all experience it differently; with the sheer variety of triggers out there, it’s impossible to nail down a treatment plan that’s guaranteed to work for all of us. Unfortunately, those weeping, discolored, itchy patches have no cure. Yet, fear not! In addition to over-the-counter treatments and prescribed solutions, we find that home remedies for eczema serve as viable treatment options. We’ve gathered a list of our favorites. Read on and see what works for you so that you can leave your eczema behind. Coconut works miracles for all things beauty. This all-star is also tough on skin conditions. Applying a thin layer to affected areas eases the itching and pain that comes along with eczema. If you choose this eczema home remedy, feel free to use actual coconut oil or a coconut oil lotion bar. Either works wonders. Never underestimate the healing power of a good bath. Oatmeal’s anti-inflammatory properties make it the perfect, gentle add-on. We suggest soaking in a bath of oatmeal and lukewarm water for 10-15 minutes before patting your skin dry and applying your favorite moisturizer. Bonus points if you use a lotion that balances your skin’s pH, such as our Moisturizing Body Lotion. This made our list of eczema home remedies because it’s extra sweet! Honey is antimicrobial (bye bye, bacteria! ), anti-inflammatory, and promotes the healing of broken skin. It also smells delicious. We recommend applying a thin layer and leaving it on for 20-30 mins before rinsing the skin with cool water. If you prefer, you can cover the affected area with a bandage while the honey is doing its thing to ensure maximum effectiveness. Stress is connected to many autoimmune disorders, including eczema. So, don’t worry. Be happy! We know you have a lot going on, and that your eczema can be a source of stress. Yet, it’s important to build time for yourself into your day. Find your favorite relaxing activity (yoga, coloring, binge-watching makeup tutorials) and do it! Out of all the eczema home remedies, this is a must for anyone with weeping eczema. Many eczema sufferers feel relief while at the beach due to the salt in the air. To get the same effect at home, combine distilled water and epsom salts to create a sea spray that provides immediate healing. Find a good recipe here. When choosing what to wear, opt for soft fabrics that include cotton, bamboo, or silk. These fabrics are gentle on the skin and will not irritate your eczema further. On the flip side, we recommend avoiding scratchy fabrics, such as wool, and wearing looser-fitting clothes rather than tight ones. We’ve saved the most important of our eczema home remedies for last. Scratching is incredibly tempting, but the relief that comes with it is only temporary. When you scratch your eczema, you’re increasing your skin’s irritation, which prolongs your symptoms. If you can’t resist, cover your affected areas with bandages. We also recommend trimming your nails frequently and wearing gloves to sleep. 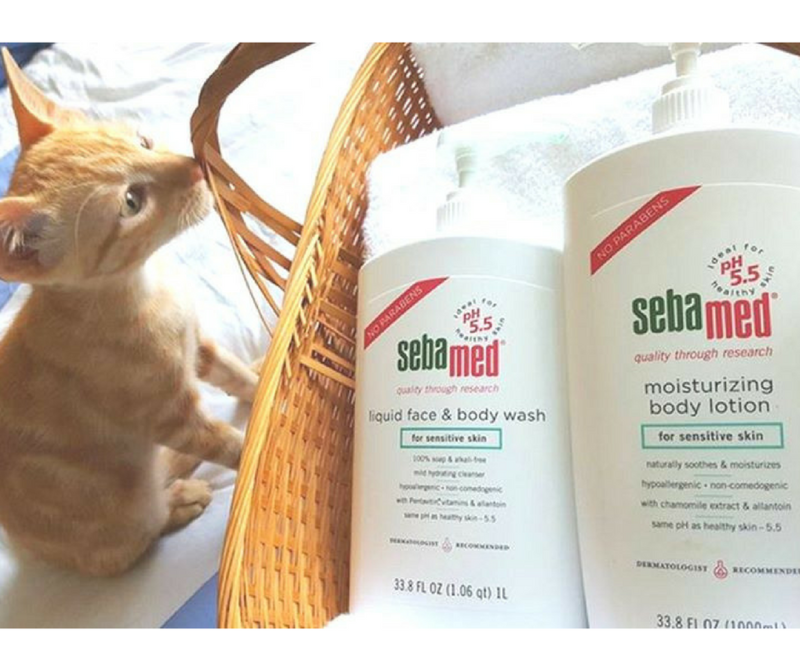 Eczema home remedies can do a lot for your skin, and so can Sebamed. We offer a wide range of lotions, creams, cleansers, and extras suitable for the most sensitive, eczema-prone skin. Check out our full lineup here.